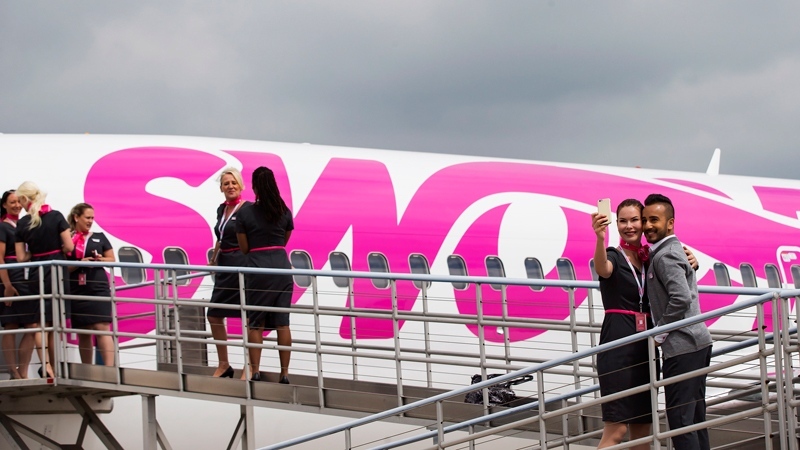 Discount airline Swoop's maiden flight touched down in Abbotsford, B.C Wednesday with a plane full of people and promises of making travel in Canada more affordable. "We have been committed to lowering the exorbitant fares that Canadians have been asked to pay for decades," said Ed Sims, the president of the WestJet group of companies. Swoop, which is owned by WestJet, also flies to Halifax, Edmonton and Winnipeg. And the company has plans to keep growing. "Later in the year, we're looking at expanding internationally to the United States, Mexico and beyond," said Swoop CEO Steve Greenway. A travel blogger who was on Swoop's first flight says ultra-low-cost carriers are generally good news for travellers. "They've been driving down prices in every country where they've been launched, so there's no reason to believe that's not going to happen in Canada," Andrew D'Amours told CTV News. Round-trip flights from Abbotsford to Edmonton for this month cost around $110. You could travel to Hamilton, Ont. and back for just over $300 next month. Despite the affordable fares, the blogger says it's important for customers to know that almost every other aspect of travelling comes at an added cost. Charges for checked bag and a full-size carry-on start at $26.50 and seat selection costs $5. Passengers are charged another $15 if they need to contact the call centre for service that can't be carried out on the website. Even the little things such as water will cost you. But even with the add-ons, D'Amours feels it's worth it. "Even paying bags, I'd say 80 per cent of the time it's still cheaper than regular airlines," he said. Those on the airline's first flight from Hamilton to Abbotsford paid an average of $103 each, but passengers should expect to pay more for travel during the summer. The same one-way ticket in July will cost anywhere between $149 and $349 depending on when you fly. Swoop is hoping those prices will entice some of the 5 million Canadians who cross the border each year for flights out of Washington State to choose Abbotsford instead. The airline currently only has two of its signature pink-and-white aircraft. 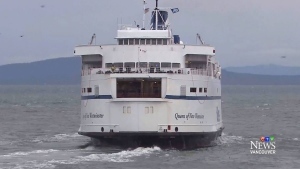 The company plans to expand its fleet to six by the end of the year and 10 in 2019.